Like many employers, Flambeau uses a wellness program to cut insurance costs by encouraging healthy employee habits. In the past, submitting to on-site tests of blood pressure, body-mass, and cholesterol meant saving a few hundred dollars. Now companies such as Flambeau have gone a step farther, denying healthcare entirely to those who don't participate. People like Arnold must instead pay for more expensive coverage through the government's COBRA program. According to several federal courts—including one that ruled in favor of Flambeau—this is all perfectly legal. In a case filed by the Equal Employment Opportunity Commission, the U.S. government argued that Flambeau's wellness program didn't comply with the Americans with Disabilities Act, which limits companies from requiring medical exams or personal health information from workers. Denying employer-sponsored coverage crosses the line from voluntary to coercive, the EEOC contended. Not so, said a federal judge in Madison, Wisc., who ruled on Dec. 31 that employers can deny coverage without violating the ADA as long as the data gleaned from the wellness program is used for purposes of overall health coverage. In this case, the screenings helped Flambeau determine the risk of its insurance pool. The EEOC says it is reviewing the decision. Samuel Bagenstos, a professor at the University of Michigan, claims the ruling turns "voluntariness" on its head. "It would make it all but impossible to enforce the voluntariness requirement for requests for medical information," Bagenstos said. "In that sense it's probably the wrong reading of the statute." Over the last few years, wellness programs have become a popular way for companies to try to curb rising health-care costs. Employers spent a record $693 per employee on such initiatives last year, up from $430 the previous year, according to data from Fidelity Investments. Wellness programs, an umbrella term for employer-supported initiatives to improve and promote employee health, were one of the most popular "benefits" last year, with three quarters of organizations surveyed by the Society for Human Resource Management offering some sort of program. Successes have been claimed. Companies that require health care surcharges for smokers, for example, say employees subsequently cut tobacco use, a recent SHRM survey found. 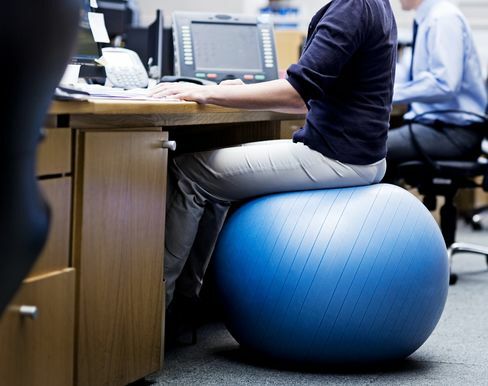 Yet, despite the popularity of wellness programs among employers, their efficacy is unclear. Participation rates hovered at 24 percent in 2014, according to Gallup research which concluded that, when employees don't engage, the programs definitely don't work. Moreover, such programs tend to see results only over the long term. Researchers in a seven-year study at PepsiCo found that participation was associated with lower health-care costs, but only after the third year. To spur workers to buy into wellness and all its health benefits (and savings for the company), it's common for employers to offer a reward of money toward health insurance premiums. In the Flambeau case, the company wasn't seeing results, so it upped the ante from a $600 credit to threatening a health insurance cutoff. Stephen Alfred Di Tullio, a lawyer for Flambeau, praised the court ruling, saying that "from the get go they always felt this program wasn't discriminating." Employees have been getting roughed up in this nascent fight. The Flambeau decision was their second defeat after suing employers who got creative in pushing wellness programs. In 2012, a federal appeals court in Atlanta found in favor of an employer, using the same reasoning about the ADA to affirm a lower court ruling. In response to the confusion, the EEOC last spring put out proposed guidelines, drawing hundreds of critical comments from all sides. Under the new guidelines, the maximum penalty an employer can impose on non-participating workers is 30 percent of the total cost of employee-only coverage. "You're seeing a real tension to basically incent people to live healthier lives so that they can use insurance less, and lose less days at work, and be more productive," said Paul Secunda, a professor of law at Marquette University, who specializes in labor and benefits law. "On the other hand there's the medical privacy concerns of individuals." People on all sides expect more legal activity. The EEOC has two other lawsuits pending that challenge employer programs. Its new guidelines, which take effect next month, are also likely to trigger additional court fights.